Studio A is on the second floor of the building. This studio includes dance floor, full length mirrors, ballet bars and an AV system. Studio A is 1344 square feet and measures 42' by 32'. View upon entering Studio A. View of the Mirrors in Studio A. View of the AV system and Piano in Studio A. 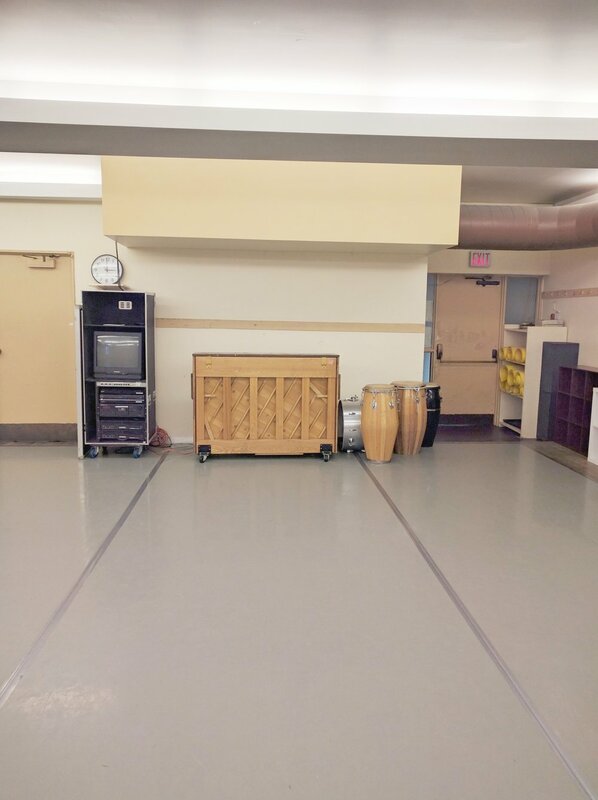 For more information or to rent Studio A please contact us at rentals@tdt.org or 416-967-1365.